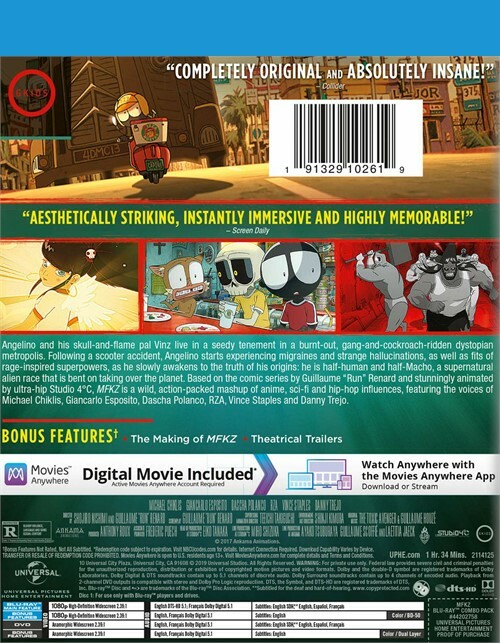 Angelino and his skull-and-flame pal Vinz live in a seedy tenement in a burnt-out, gang-and cockroach-ridden dystopian metropolis. 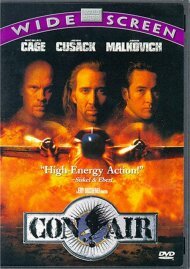 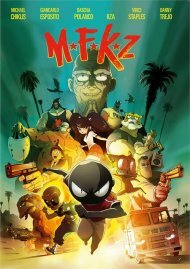 Following a scooter accident, Angelino starts experiencing migraines and strange hallucinations, as well as fits of rage-inspired superpowers, as he slowly awakens to the truth of his origins: he is half-human and half-Macho, a supernatural alien race that is bent on taking over the planet. 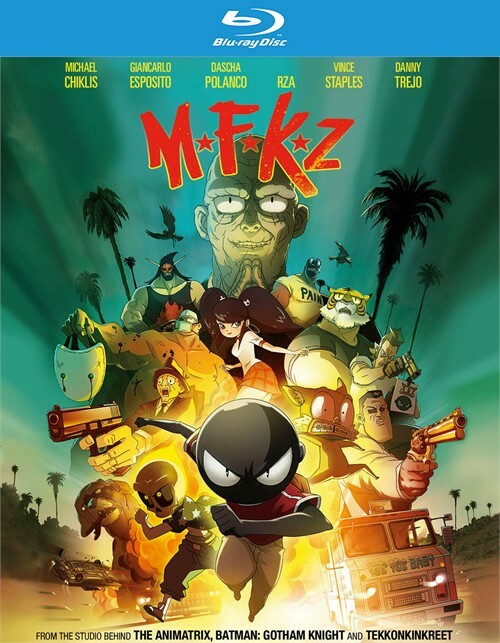 Based on the comic series by Guillaume 'Run' Renard and stunningly animated by ultra-hip Studio 4C, MFKZ is a wild, action-packed mashup of anime, sci-fi and hip-hop influences, featuring the voices of Michael Chiklis, Giancarlo Esposito, Dascha Polanco, RZA, Vince Staples and Danny Trejo.